Lau Ching-Wan sees dead people, sort of. Director Wai Ka-Fai serves a satisfying feature that affirms life even through loss. Although it confuses on multiple occasions, the movie’s wrapped in a light cloak of fantasy that helps to make it a genuinely touching picture. Mia Yam is Melody, a girl blinded by a car accident that also took her father, Tony (Lau Ching-Wan) 10 years ago. A decade and two Ph.Ds later, her mother, Mandy (Kelly Lin), still mourns her husband’s death while her younger brother also struggles to get on. To ease their sadness, Melody decides to write a story, imagining that the three of them had died instead of Tony but that he was left blinded in the accident. I doubt most people would find their spirits improved by picturing themselves dead and their father blind and alone, albeit with a Filipina maid named Maria, but whatever gets the narrative ball rolling. Tony soon takes over as the main protagonist, navigating a solitary world while grieving his missing family. His melancholy prompts him to create a story in which his wife and children survive, and before long, fictions overlap as both Melody and Tony attempt to write away their grief. It is unclear who is authoring each successive story, whether Tony takes to his typewriter himself or whether his daughter in the original (or actual) reality pushes him to it. Either way, by midpoint, the film tumbles into a muddled blend of reality and fantasy, and Wai makes little attempt to distinguish between them. The casual viewer will find these inexplicable intersections of space and time frustrating and rightly so, but like many a Hong Kong film, logic is best employed elsewhere. Exhausting your energy on the details will only hamper your ability to absorb the emotional core that sustains the film. In fact, the tangling of characters and reality may be Wai’s goal. From this cloud of confusion emerges a consistent refrain about the persistence of death and the chaos that that emptiness can bring. The predictable but no less touching ending emphasizes this lingering presence of loss which, despite our efforts, cannot be written out. Still, the movie’s too inconsistent to be spectacular, and besides problems with the story, the acting is fragmented. Lau Ching-Wan doesn’t disappoint – does he ever? – and gives an affecting performance here. The kid who plays little Oscar, the young son, is also subdued and sweet in a way that young Hong Kong actors rarely are. Unfortunately his is a minor role with the bulk of the screen time given to his sister’s older incarnation. Mia Yam’s problem is not really one of overacting but of not acting at all. She possesses little of Melody’s passion and simply mimes her way through emotional turmoil. The movie deserves much more, but if you’re in a forgiving mood, then you’ll find it largely overcomes this acting deficit. 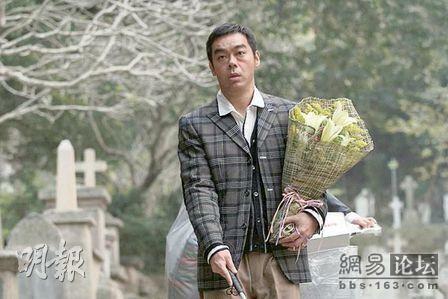 Posted in Asian movie reviews, Hong Kong and tagged Kelly Lin, Lau Ching-Wan, Mia Yam on March 17, 2010 by limmer13.